Professor Dylan E. Jones has enjoyed a distinguished teaching career which began as Head of History at Ysgol Gyfun Gwyr, Swansea, in 1987. He has undertaken roles in Ysgol Gyfun Llanhari, Ysgol Gyfun Rhydywaun prior to being appointed Headteacher at Ysgol y Cymer Rhondda in 1997 at the age of 34. In 2000 he became Head of the Vale of Glamorgan’s first Welsh Medium School – Ysgol Gyfun Bro Morgannwg. In 2010 he received a Distinction in the The National College Awards for Headteacher of the Year in a Secondary School in Wales. 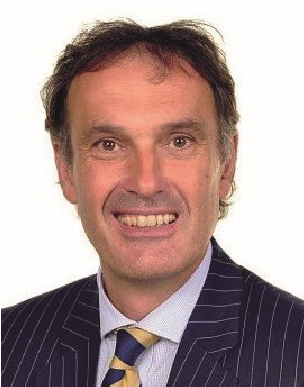 In 2016 Professor Dylan Jones became the Dean of the Faculty of Education and Communities at the University of Wales Trintiy Saint David and is also the Director of Yr Athrofa: the Institute of Education. He is Secretary to the Wales Education Commission.